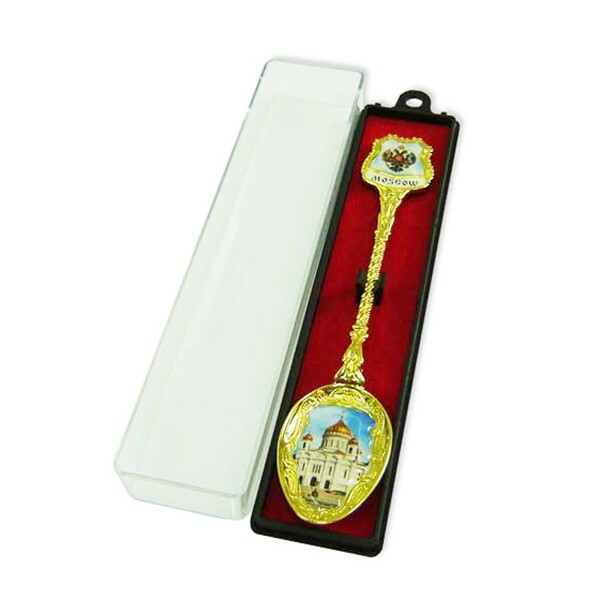 Decorative Spoon "Moscow. Cathedral of Christ the Saviour"
Size: 5 inches (13 cm). 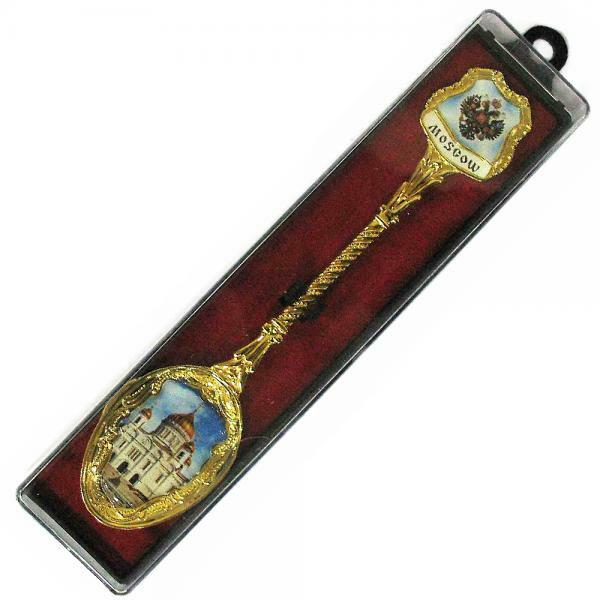 Material: metal with an engraving and colored enamel. Color: gold.